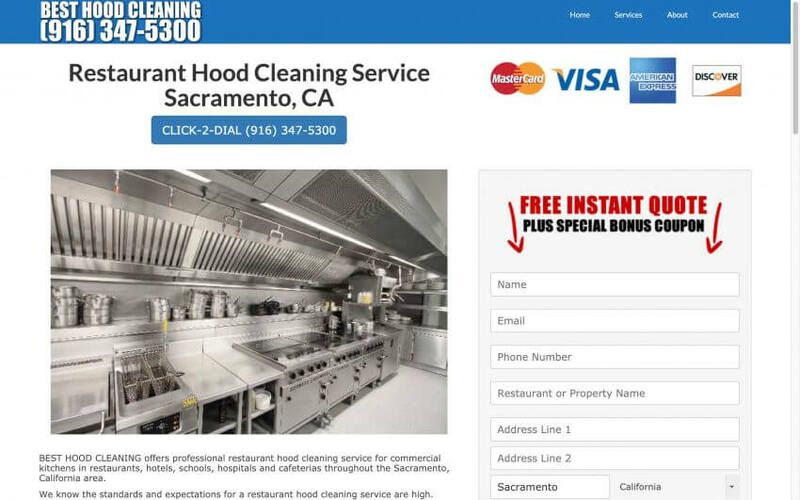 Sacramento Hood Cleaning was one of the first hood cleaning websites we built. They now get over one hundred leads a month. Not only has it increased their business three fold, it has changed their lives. They can now turn down undesirable clients who, in the past, were late pays. We can do this for your hood cleaning company too, give us a call today.